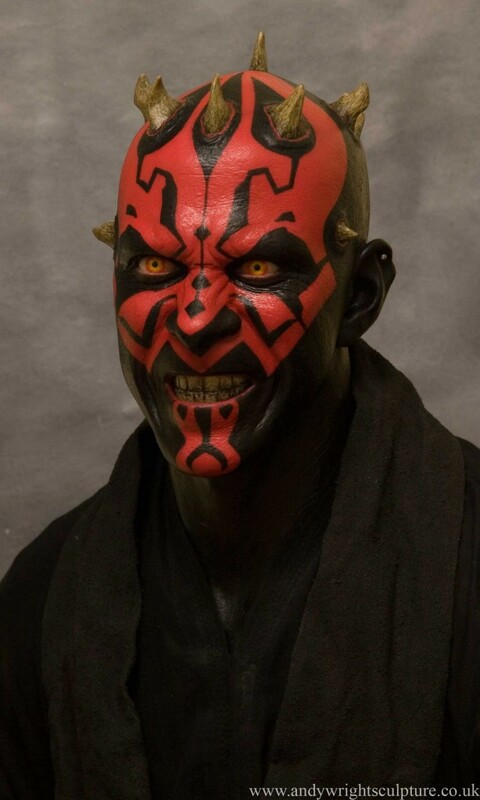 Life size half statue of Ray Park as Darth Maul from Star Wars Episode 1: The Phantom Menace. 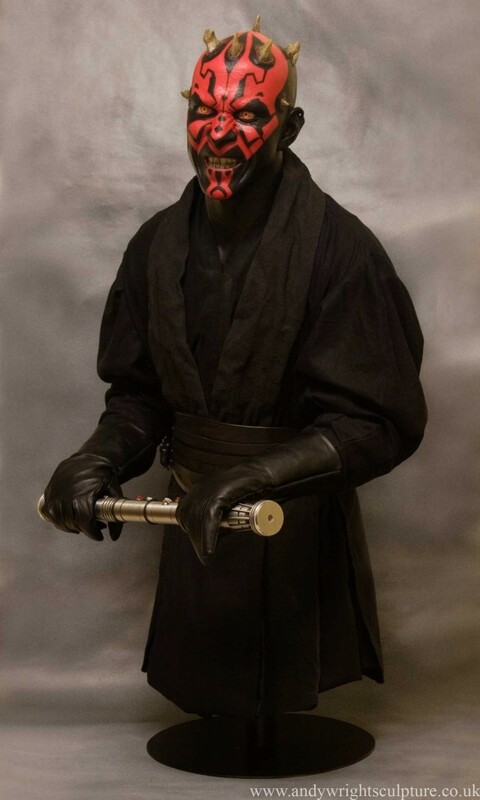 Once a general look of Darth Maul was decided upon, I collected photos and screen captures of Ray Park making the expression we wanted. Many of them without him in makeup. This made it easier to sculpt his likeness – very difficult with black and red makeup all over his face to see forms correctly. Several weeks were then spent modelling water based clay over a steel and aluminium armature. Firstly concentrating on his head alone, then attaching it back on to his body and finishing the rest of the upper torso, to get the correct posture along with the expression. Fibreglass moulds were then taken from this, and castings taken from them to create a fibreglass body and arms. 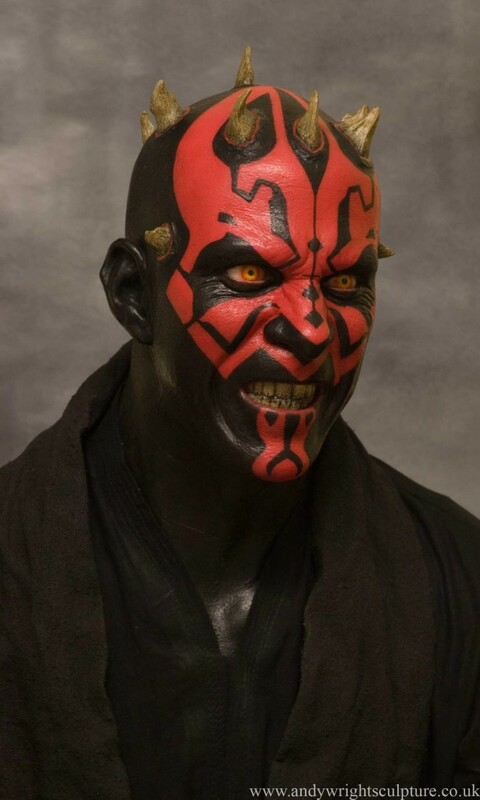 Platinum silicone rubber was then injected into the head mould, the resulting head casting de-seamed and painted in Maul’s distinctive tattoo pattern. Acrylic eyes were then hand painted and cast, as were his teeth and inserted into his head. 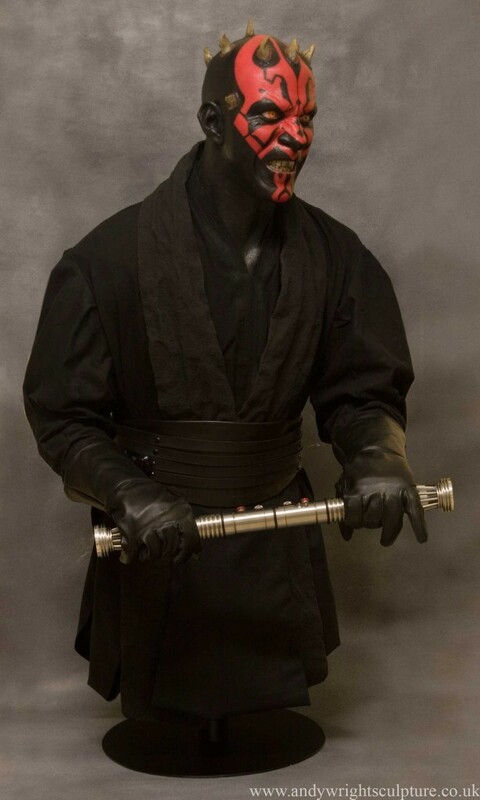 The costume was then made from various cotton fabrics and silk for the main part, and leather for the belts. A bought machined lightsabre and belt clip finish the display off.